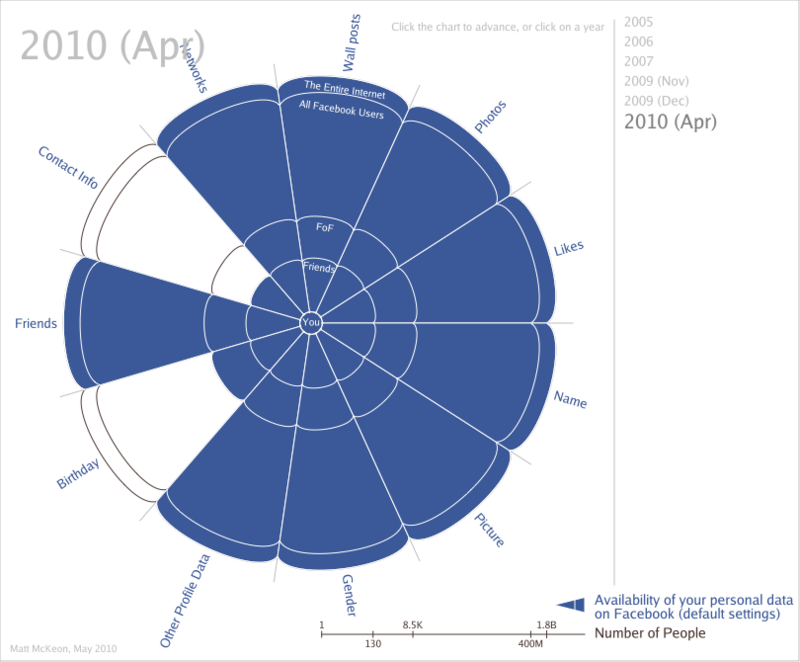 An amazing chart graph created by Matt McKeon that shows the evolution of privacy in Facebook during the past 5 years. Click here to see the real chart and the information regarding the data shown. Just how safe is your Facebook information now? This entry was posted in Anger, Nonsense, Ridiculosity, Tech Jargon and tagged facebook, facebook privacy, matt mckeon, past 5 years, privacy. Bookmark the permalink.